We are told that we will all face trials. Jesus told us to expect them. Trials come in all different forms and fashions: health crises, death of a loved one, job loss, financial difficulty, prodigal children, divorce, depression. Sometimes people have tried to encourage me to “take it one day at a time,” when truly, I was praying for help to successfully navigate the next five minutes. Both professionally as a neuropsychologist, and also personally as one who has experienced my share of hardship, I’ve come to realize that when tragedy hits, others, including well-intentioned friends and family, often don’t know what to say or what to do. After being a clinical neuropsychologist for over 20 years, little surprises me anymore, but earlier in my career, I was surprised by some of the comments I heard people say in response to suffering. I’ve been on the other side of that situation as well – learning that a friend’s child was incarcerated, or a spouse had an affair, or someone lost a child to a drug overdose. I remember being dumbfounded and without adequate words to console or convey the pain in my heart for them. How do you truly relate to others’ pain if you’ve never walked their path? And how do you express your concern in a way that comforts while avoiding platitudes or filling empty space with hollow syllables that help no one? In walking beside patients who are suffering through devastating circumstances, as well as speaking from my own experience of depression and a prolonged bout with pneumonia, or as a caregiver of a spouse who has been diagnosed with cancer more than once, I’d like to share what is and isn’t helpful. Because sometimes we just don’t know. “You’ll learn something from this.” When you’re in the middle of heartache, you don’t care about learning from the pain. You just want the pain to end. If a lesson comes in the end, that’s just bonus. “What doesn’t kill you, makes you stronger.” When you’re holding on with all you’ve got, sometimes praying just to make it through the next five minutes, it’s not a goal to become stronger but rather, just to survive. “Someone else has it worse off than you.” This is the case for just about everyone in the universe, but bringing that to one’s attention doesn’t do anything to alleviate the pain in our own suffering, and just makes someone feel like you lack compassion and empathy, and that you don’t really care. “This too shall pass.” In the midst of despair, logically we already know this, but each day we arise hoping that today will be the day. So unless you can tell us when things will take a turn for the better, it’s better not to say this. “This must be because you have unconfessed sin in your life.” This statement just serves to heap guilt, shame, and condemnation on someone who is already feeling discouraged and perhaps hopeless. Scripture says, “There is therefore, now, no condemnation for those who are in Christ Jesus” (Romans 8:1). So rather than instill guilt and shame, share His love, mercy, and hope. Tell the horror stories of others you know who have also suffered through similar situations. Both when I was struggling with a 14-week bout with pneumonia, as well as the times when my husband was being treated for cancer, it was amazing how many people shared with us the horror stories of every friend or distant relative they had who had been misdiagnosed or died from pneumonia or cancer. Rather than encourage us, it only served to invoke fear, doubt, and discouragement—quite the opposite of the encouragement, inspiration, and hope that we needed at the time. Knowing what not to say is more than half the battle. WHAT IS HELPFUL TO SAY? Pray with me and for me when I don’t even know what to pray for myself. “I love you.” When you’re going through a difficult time, you need to know that despite your circumstances, despite your mistakes, that you are still loved. “We’ll get through this together.” In the difficult, devastating times in life, your emotions make you feel alone in this world and it helps to know that at least one person is willing to stick by you and see you through to the other side of the valley. “You are strong.” Rough patches test your physical strength, your mental fortitude, and your emotional tenacity. Sometimes you need the reminder that despite what your emotions tell you, you ARE strong—just hang in there. “You are brave and courageous.” Going through life’s difficult situations requires courage and bravery when in reality we often feel meek and afraid. Sometimes we just need someone to have confidence in us when our own self-confidence is wavering—it’s often just the thing that can undergird us with the fortitude to push through the fear and keep going. “This is hard, but you’ve made it through every other hard situation that’s been thrown at you. You’ll make it through this too!” The best predictor of future behavior is past behavior. 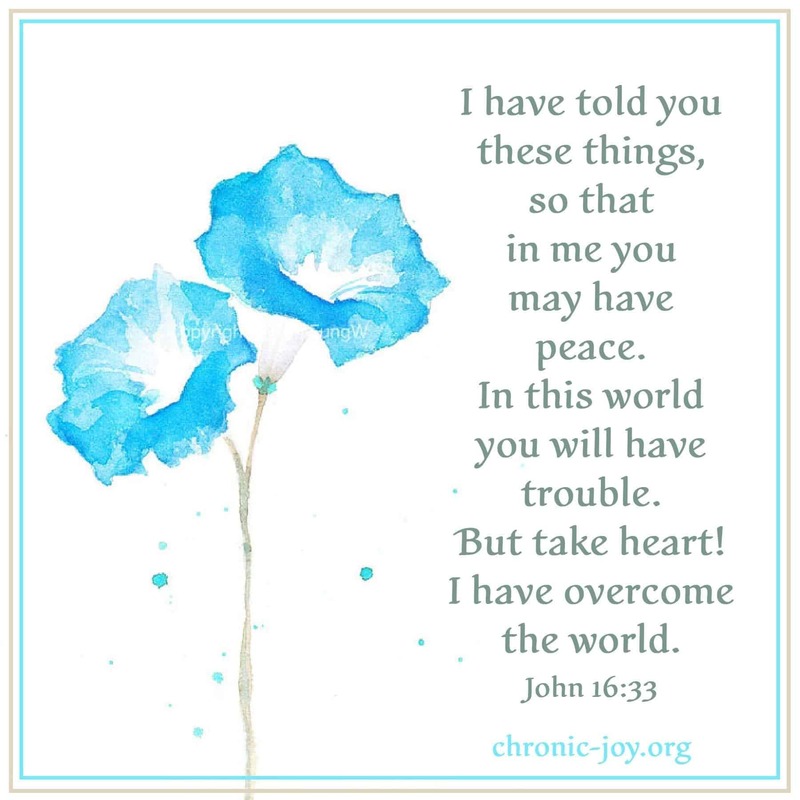 Sometimes we just need to be reminded that even though we are in a difficult spot, we’ve made it through other difficult spots before, and we can do it again! As a neuropsychologist, I constantly study human behavior. I watch what people do as well as what they don’t do. I listen to what they say and what they don’t say. Often we speak to ease our own discomfort in the weighty silence and do more damage in the process. Hold me and let me weep until I’m out of tears. Keep me company, or if I want to be alone, check on me frequently. Offer a hug or a squeeze on the shoulder. Deliver a cheerful flower bouquet to brighten a dark situation. Listen quietly without trying to solve my situation. Offer to walk with me—the fresh air will do me good. Take me out to coffee. If you’re going to the grocery store, dry cleaner or drug store, offer to pick up a few items for me as well. If our kids attend the same school, offer to pick mine up too and bring them home for me. Fixing a casserole? Make a double recipe and bring us dinner. If illness is an issue, offer to go with me to doctor’s appointments. There is nothing worse than going alone. Stop by and pick up a load or two of laundry and return it washed, dried and folded. Pick the children up one afternoon to give me a couple of hours to nap, run errands, speak privately with doctors/attorneys/teachers/family members, etc. In Genesis 2:18, God said, “It is not good for the man to be alone…” In difficult times especially, we need each other. But it helps to have some guidance regarding what to say, what not to say, and what we can do to offer practical help to those who are suffering. In the comments, I’d love to hear your examples of helpful or unhelpful words or actions, because who doesn’t want to be a little bit better equipped to “weep with those who weep and rejoice with those who rejoice…”? *You can read a brief description of Dr. Bengston’s book Hope Prevails as well as find other resources on our Mental Illness page. DR. MICHELLE BENGSTON (PhD, Nova Southeastern University) is an international speaker and the author of the best-selling “Hope Prevails: Insights From a Doctor’s Personal Journey Through Depression” and the newly released companion, “Hope Prevails Bible Study.” She has been a neuropsychologist for more than twenty years. She is in private practice in Southlake, Texas where she evaluates, diagnoses and treats children and adults with a variety of medical and mental health disorders. She knows pain and despair firsthand and combines her professional expertise and personal experience with her faith to address issues surrounding medical and mental disorders, both for those who suffer and for those who care for them. She offers sound practical tools, affirms worth and encourages faith. Dr. Bengtson offers hope as a key to unlock joy and relief—even in the middle of the storm. She and her husband of 30 years have two teenage sons, and reside in the Dallas/Ft. Worth area. Thank you for sharing these encouraging and kind words here! I enjoyed reading the “please don’t say it”.As a person who’s had health challenges for most of my life & most recently another surgery. It’s amazing to see what others say around you. Sometimes it’s just discouragingly or the more they say just makes you feel even worse. However, this was good for me to read on “what is helpful to say”. I’m trying to learn as a being a receiver most recently. Then at times being a giver to someone in need or speaking encouragement to someone. Both are important for us in life.